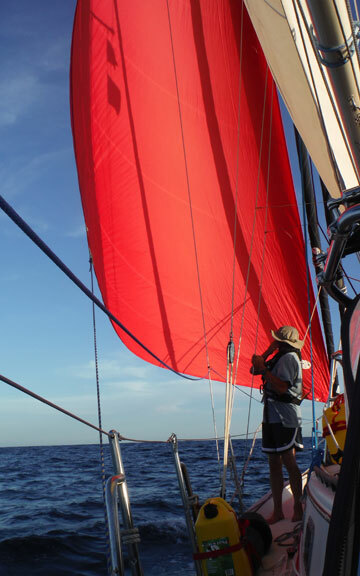 Even though our sails were in decent shape, we wanted to outfit new ones that would last as long as possible while cruising. 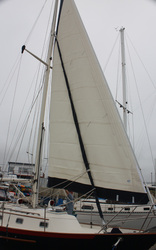 I began to look at various sail makers and had a couple of quotes done from local sail lofts, but my research kept bringing me back to Port Townsend Sails. 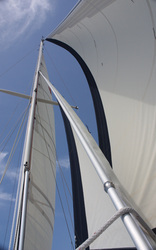 I first read about them on Dave Mancini’s site - http://www.swancruise.com/Sails.html. Even though they were the most expensive of the bunch, I kept hearing the same thing - if you wanted top quality sails, specifically made to cross oceans, go to PT sails. 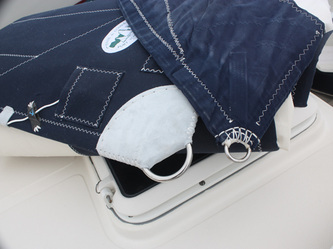 It seems Carol Hasse is one of the last American made, high quality, cruising sail makers left. 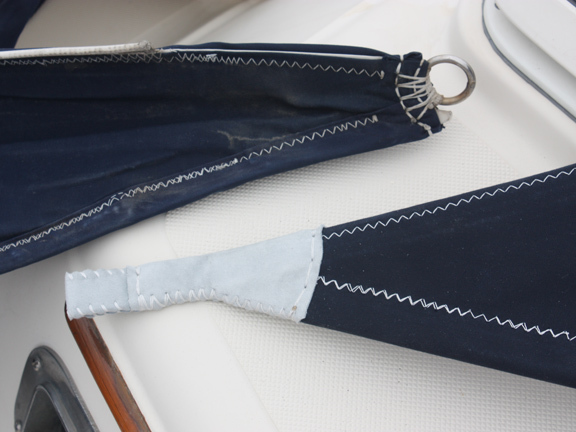 Practical Sailor did a pretty good write up of a number of sail makers. 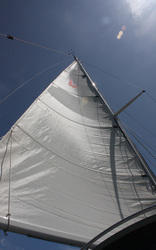 Most of the big name sail makers got pretty good reviews, but there was always a number of unhappy customers as well. 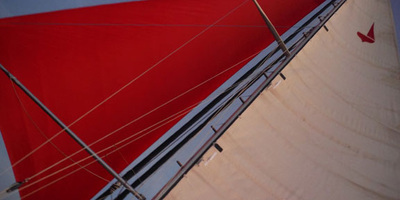 Yes, I know you can’t make everyone happy, however, I haven’t been able to find a single negative review on PT Sails. Not only are they made here in the U.S., but they combine new technology with old school know-how. 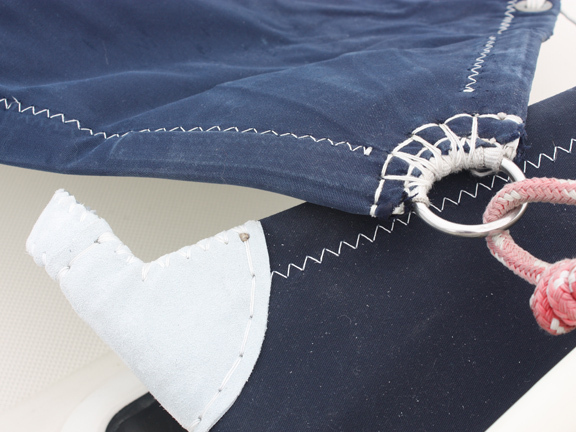 I was really impressed with the little extras that Carol and her crew do to make the best sail possible: hand sewing grommets, adding leather chaff and UV guards over Spectra strops and loops, through-bolting and sewing the battens into the sail, etc. As I have mentioned elsewhere I tend to lean on the traditional side of things. Even though technology has advanced throughout the years I think you can still learn a lot from the old ways of doing things, which were honed over hundreds of years and millions of ocean going miles. 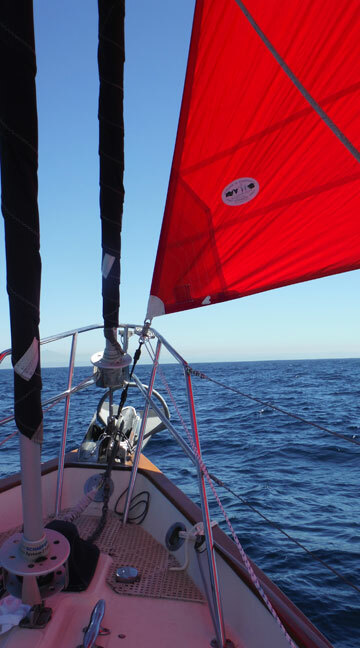 While I like new technology, when I have to bet my life on something (and I am) I like tried and true. So, with that said, I faced a dilemma and struggled for well over a year before making a decision on our staysail. Do I get rid of the roller furling on the staysail and go traditional hank-on, which would allow us to change it out at sea and fly a storm staysail if necessary? 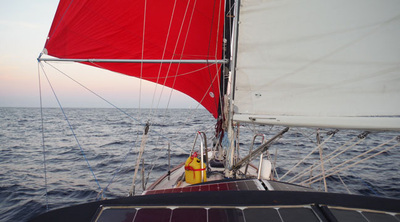 In the end, and with a couple of discussions with Carol, I decided on leaving the furler. 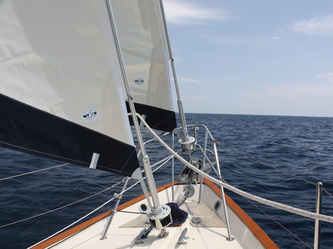 Carol suggested that the furler would be a good option on our boat, because the staysail is pretty small on our boat and we are not planning on sailing in high latitudes. 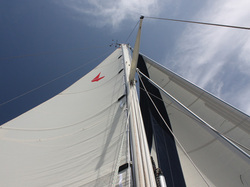 She could make the staysail out of heavier material and it would be designed to be used as both staysail and storm staysail. 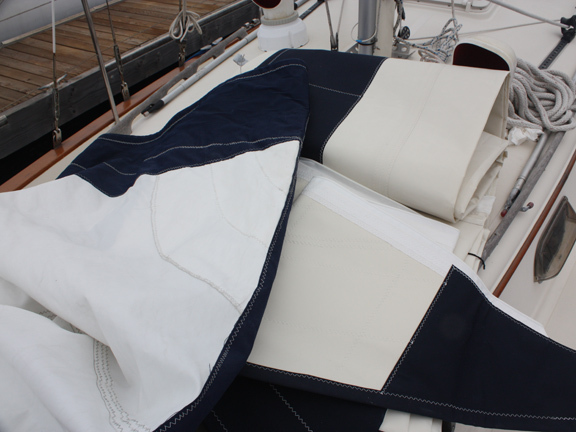 Lastly, furlers have come a long way and have been very dependable in the last few decades. 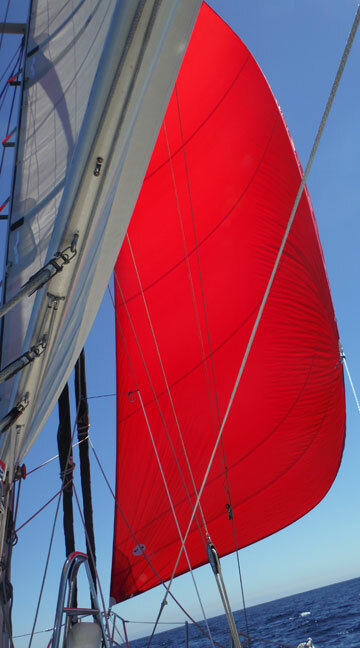 PT Sails had made numerous sets of sails for the PSC 34, but they do not use the factory numbers because boats are not all set up the same. After I replaced my roller furlers, I called Carol with a hands free ear piece and we spent almost 3 hours measuring everything they needed for my boat. 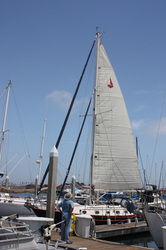 Had I been anywhere near her sail loft, Carol would have personally taken all of the measurements of my boat. 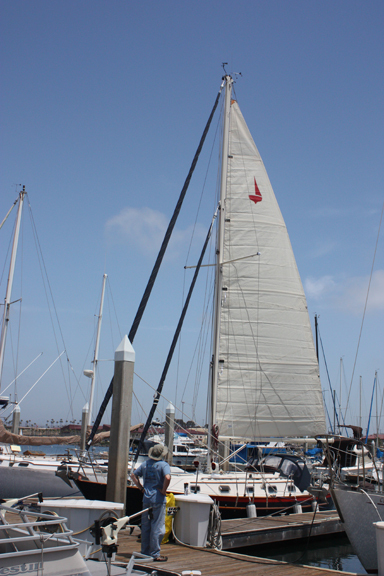 She offered to fly down to San Diego but was also confident that we could do it over the phone. So Carol walked me through the whole process of measuring. 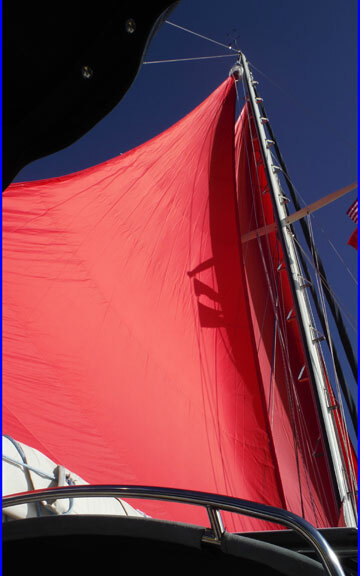 Additionally, she asked detailed questions of what exactly I was looking for from the sails. 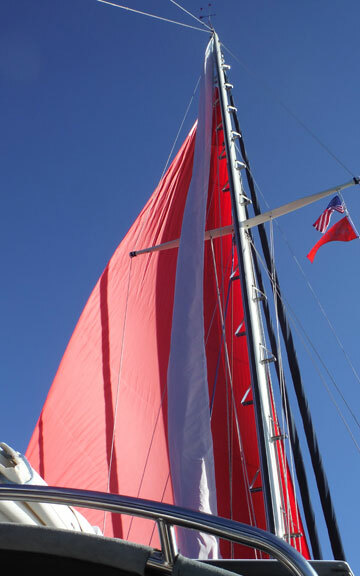 Generally, I knew what I wanted – bullet proof sails that would last as long as possible while cruising full time throughout the South Pacific. Carol made numerous suggestions and patiently described what she was trying to do when I didn’t know the answer. 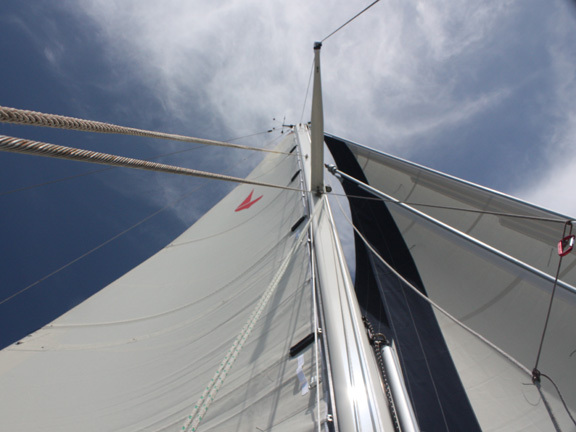 We had her make a full suite of sails – Main, Jib, Staysail (doubles as a Storm Staysail), and Storm Trysail. 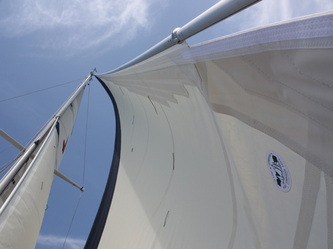 We wanted a traditional look, and was originally going for the tanbark sails, but couldn’t get the color we wanted. Carol advised us to get the really dark, almost chocolate color, if we wanted longevity and fade resistance. Marya and I didn’t really like the brownish color, but really liked the cream color that looks sort of like the old yacht canvas of the early 1900s. The sails turned out better than expected, and fit perfectly. 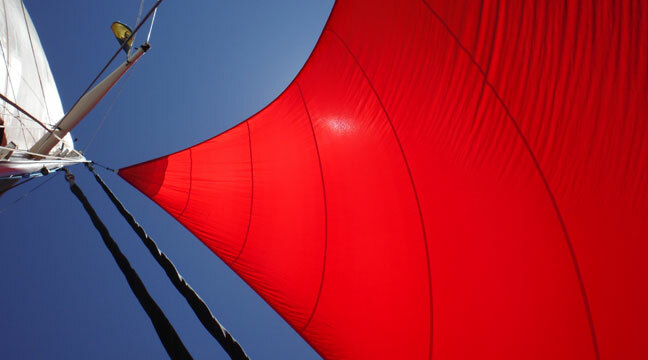 We have had them on now for a little while and Marya and I love them. Overall, I have to say that I learned a lot and had a great experience with PT Sails. I highly recommend them and can’t say enough about their customer service and quality workmanship. 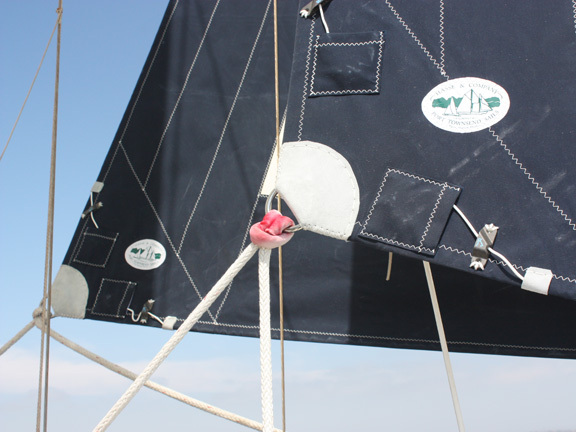 Light air jib, with white light air main sock hoisted, ready to fly.